1. 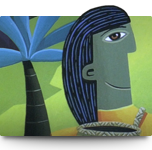 (personal name) atua of the winds, clouds, rain, hail, snow and storms, he was also known as Tāwhiri-rangi and Tāwhiri-mate-a-Rangi and was one of the offspring of Rangi-nui and Papa-tū-ā-nuku who did not want his parents separated. Ko te māoritanga o ngā ingoa o ēnei tamariki a Rangi rāua ko Papa: Ko Tangaroa, he ika; ko Rongo-mā-tāne, ko te kūmara; ko Haumia-tiketike, ko te aruhe; ko Tāne-mahuta, ko te rākau, ko te manu; ko Tāwhiri-mātea, ko te hau; ko Tū-mata-uenga, ko te tangata (KO 16/9/1886:6). / The explanation of the names of these children of Rangi and Papa is: Tangaroa is fish; Rongo-mā-tāne is kūmara; Haumia-tiketike is fernroot; Tāne-mahuta is trees and birds; Tāwhiri-mātea is wind; Tū-mata-uenga is humans. 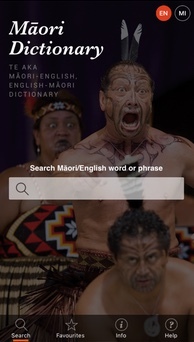 This Māori dictionary is now available as an app. With the iPhone, iPod Touch, iPad, and Android app you can use the dictionary anywhere without the need to be online. 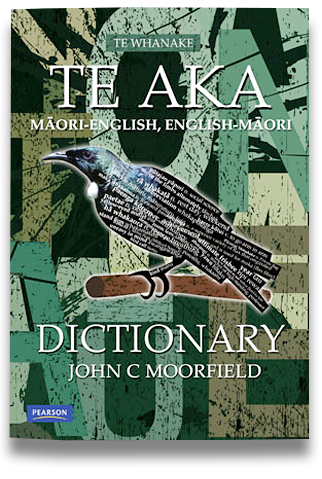 Te Aka Māori-English, English-Māori Dictionary and Index by John C Moorfield. This dictionary comprises a selection of modern and everyday language that will be extremely useful for learners of the Māori language. Textbooks, study guides, CDs, teachers' manuals and the bilingual Māori dictionary of the Te Whanake series. 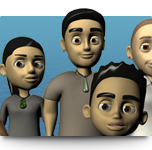 Online modules of animated movies and activities that complement the Te Whanake textbooks for learning Māori. 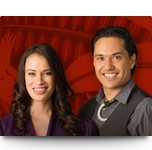 Online activities of the Te Whanake textbooks for playback on computers, television or portable devices. 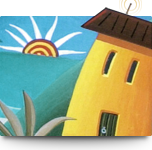 Streamed television programmes for developing listening comprehension skills. 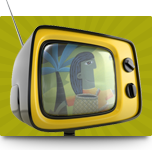 Online activities for further practice for each episode of Tōku Reo, the television series for beginners of Māori language.